Hello, I have a small print shop and I just got an Oki C9500 printer. How many full color pages would it print with 15,000 page toners? We can only advise, as per Oki's specifications, that these genuine Oki C9500 cartridges will print approximately 15,000 pages per colour based on printing at 5% coverage on A4. If you're printing full colour pages then you'll need to reduce the amount of pages you expect to print in relation to how much toner you use on each page. Unfortunately, it's not possible for us to calculate how many full colour pages you'd get from these Oki C9500 cartridges as this would depend on your own specific use of the cartridges in terms of how much toner you use on each page and how much of one colour is used per-page. Searching for new Oki toner cartridge does not have to leave you short on cash. At Cartridge Save you'll pay much less to get toners than any other store. By running an effective online store and keep our running expenses down, we are able to provide you with Oki C9500 toner which will cost significantly less than the supplies you may find at your local electronics or computer appliances stores. We feel you shouldn't have to give up on print quality to buy a reasonably priced Oki C9500 printer cartridge. Therefore, we give you a full guarantee so there's no reason to feel you've been left unhappy. Here at Cartridge Save we aim to save you money giving up on build quality. Get your order in today with Cartridge Save and start to save! The network-ready Oki C9500 is favoured by workgroups for its reliability and efficiency. This colour laser printer delivers good quality output, fast. It has a monthly duty cycle of 83,000 sheets and comes with a 320 MB RAM, and is installed with PCL and PostScript printer languages. USB and Ethernet ports are available. Some users complain, however, that the Oki C9500 colour laser printer has a low paper handling capacity, even with the optional tray. The compact C9500 printer has internal paper trays on the base and an output tray on top. Its control panel is organised and comes with function buttons and a monochrome LCD display. Print resolution can go as high as 1200 x 1200 dpi, and the Oki C9500 printer can handle media as large as an A3. Print speed can go as fast as 37 ppm for monochrome with the first page coming out at 10 seconds while it takes 30 ppm for coloured output. Multiple users will have no trouble sharing the Oki C9500 as it has built-in Ethernet. This reliable printer has a high monthly duty cycle and yet it has a small footprint. The C9500 LED printer delivers vibrantly coloured graphics and images and crisp monochrome text documents. 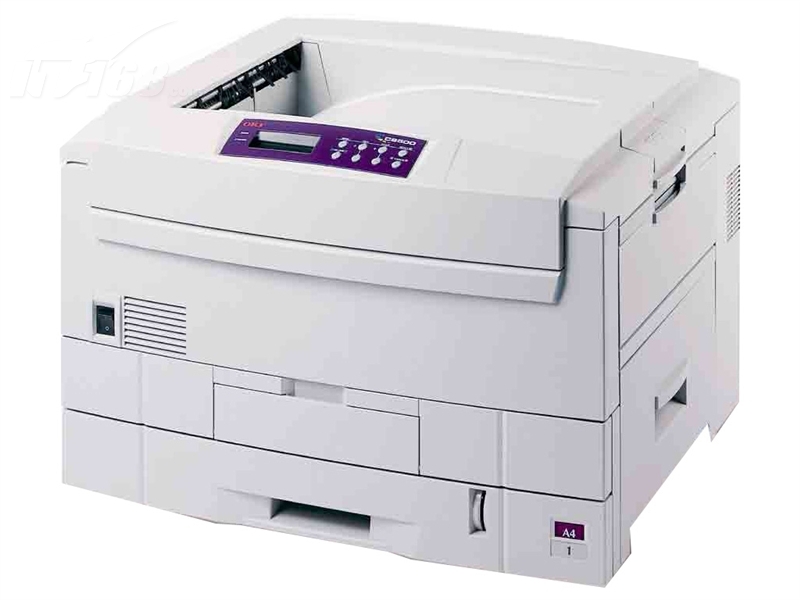 Print speeds are very good and the Oki C-9500 laser printer is easy to setup and operate. As a cheaper alternative to the Oki toners, this printer can use premium brand compatible Oki C9500 cartridges which can produce the same high quality images. This printer does not have expandable RAM and does not offer a standard duplexer. The Oki C9500 colour printer only works on Windows computers, and even with the optional tray, its maximum paper handling capacity is only 1,100 sheets.